For Wiltshire and its vicinity, we're showing you all the registered Indoor Pools in Wiltshire, some of them have no GPS coordinates and you are not choosing them at the map. Please check the nearest Swimming Pools or Contact us to ADD IT. It's free! Looking for Indoor Pools in Wiltshire? A number of of them belong to gyms or sport centers which also offer lessons. Traveling to Wiltshire? This can be the best spot on the internet to find places to swim in Wiltshire. Each day you might be not swimming you are losing precious time to increase your skills a be a far better swimmer! No more excuses!. Are you on holiday and want to keep fit and healthy? 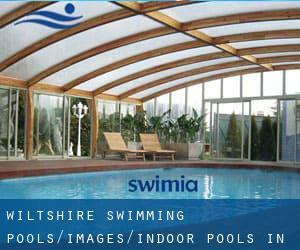 Swimia.com offers you the effortless and quickest way to find pool near Wiltshire. There are often discounts available to senior citizen and tiny children. Discover by contacting your nearest pool in Wiltshire. Let us tell you a secret to switch off even though you might be in Salisbury: just choose a Pool in Salisbury and plunge into the water! There's no more effective strategy. Whereas Devizes is one of the six most populous cities in Wiltshire with nearly 14.699 residents, you shouldn't miss that one if you're going to Wiltshire. Swimming is a exceptional idea to help keep your body active for the duration of your visit to Chippenham (Wiltshire), or even if you are a local. Swimia helps you to find your closest Pool in Chippenham. It's difficult to visit Wiltshire with out dropping by Trowbridge (with 36.922 residents). Currently Swimia is showing you all the Swimming Pool in Trowbridge along with the closest pools located in its vicinity. Holding an estimated population of 17.875, Warminster is among the most important cities in Wiltshire. Check all the Swimming Pool in Warminster and its surrounding area. Without a shadow of a doubt, swimming in Neston will be the perfect strategy to unwind right after work. Take a couple of minutes to browse Swimia's catalog to find a Swimming Pool in Neston. The Butts , Hulse Road , Salisbury , England , UNITED KINGDOM (Postal Code: SP1 3NR). Among all the activities offered by the center, if you are considering swimming you will enjoy 25 meters x 17.5 meters, 8 lanes, 0.8 meters - 1.8 meters depth, 0.8 meters - 1.8 meters depth, Indoors. If you need to contact this Swimming Pool, email address and phone number are both number. Sandy Hill Lane Weybourne , Holt , England , UNITED KINGDOM (Postal Code: NR25 7HW). This sports center delivers 19 meters x 9 meters, Indoors. Contact information and facts for this Swimming Pool such as phone number and email address are number. Barton Dene , Marlborough , England , UNITED KINGDOM (Postal Code: SN8 1PB). Among all the activities offered by the center, if you are enthusiastic about swimming you will take pleasure in 25 meters x 9 meters, 4 lanes, Non-Chlorine Sanitized, Indoors. If you need to contact this Swimming Pool, email address and phone number are both number. Southbroom Road , Devizes , England , UNITED KINGDOM (Postal Code: SN10 5AB). This sports center gives 25 meters x 9 meters, 4 lanes, Indoors. Contact knowledge for this Swimming Pool such as phone number and email address are number. Stones Lane , Cricklade , England , UNITED KINGDOM (Postal Code: SN6 6JW). Among all the activities offered by the center, if you are interested in swimming you will take pleasure in 25 meters, 4 lanes, Indoors. If you must contact this Swimming Pool, email address and phone number are both number. Beechfield Road , Corsham , England , UNITED KINGDOM (Postal Code: SN13 9DN). Swimmers like you reported 25 meters x 10 meters, 4 lanes, 0.9 meters - 2 meters depth, 0.9 meters - 2 meters depth, Indoors. Unfortunately we do not have the email address of this Swimming Pool, but we can provide you with the phone number. Monkton Park , Chippenham , England , UNITED KINGDOM (Postal Code: SN15 3PE). Among all the activities offered by the center, if you are interested in swimming you may take pleasure in 25 meters, 4 lanes, Indoors. Just in case you need to contact this Swimming Pool before dropping by, we only know the phone number. Church Street , Westbury , England , UNITED KINGDOM (Postal Code: BA13 3BY). This sports center gives 20 meters x 6.5 meters, 4 lanes, Indoors. For this Swimming Pool, only phone number is number here. Recreation Road , Durrington , England , UNITED KINGDOM (Postal Code: SP4 8HH). Among all of the activities offered by the center, if you are interested in swimming you will get pleasure from 25 meters x 9 meters, 4 lanes, 0.9 meters - 2 meters depth, 0.9 meters - 2 meters depth, Indoors. If you must contact this Swimming Pool, e-mail address and phone number are both number. Nadder Road , Tidworth , England , UNITED KINGDOM (Postal Code: SP9 7QA). This sports center gives 25 meters, 6 lanes, 1.1 meters - 3.5 meters depth, 1.1 meters - 3.5 meters depth, Indoors. Contact information for this Swimming Pool for example phone number and e-mail address are number. Woodcock Road , Warminster , England , UNITED KINGDOM (Postal Code: BA12 9DQ). Among all the activities offered by the center, if you are considering swimming you will take pleasure in 25 meters x 10 meters, 4 lanes, 0.9 meters - 2 meters depth, 0.9 meters - 2 meters depth, Indoors. Just in case you want to contact this Swimming Pool before dropping by, we only know the phone number. Stockley , Calne , England , UNITED KINGDOM (Postal Code: SN11 0NQ). Among all the activities offered by the center, should you be thinking about swimming you can expect to get pleasure from 20 meters x 10 meters, Indoors. Just in case you would like to contact this Swimming Pool before dropping by, we only know the phone number. Frome Road , Trowbridge , England , UNITED KINGDOM (Postal Code: BA14 0DJ). This sports center delivers 25 meters x 13 meters, 6 lanes, 0.8 meters - 4 meters depth, 0.8 meters - 4 meters depth, Indoors. For this Swimming Pool, only phone number is number here. On the grounds of Pewsey Vale School , Wilcot Road , Pewsey , England , UNITED KINGDOM (Postal Code: SN9 5EW). Among all the activities offered by the center, if you are considering swimming you will take pleasure in 25 meters, 4 lanes, Indoors. If you need to contact this Swimming Pool, email address and phone number are both number. Bremilham Road , Malmesbury , England , UNITED KINGDOM (Postal Code: SN16 0DQ). This sports center delivers 25 meters x 8.5 meters, 4 lanes, Indoors. For this Swimming Pool, only phone number is number here.